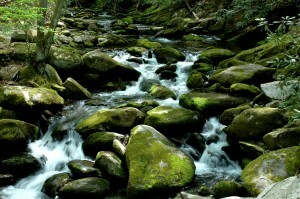 The Smoky Mountain Field School was founded as a cooperative relationship between the University of Tennessee, Knoxville and the Great Smoky Mountains National Park. Their goal is to enhance public appreciation, understanding and stewardship of the Park and the natural world through various classes. I used to believe this was a Great Smoky Mountains Institute at Tremont function, but Tremont is just one of many places where these classes are held. I lifted the 2014 class schedule from their website to give you an idea of the range of seminars. This is just a small portion of the classes they offer. For ten years I’ve wanted to take the Edible and Poisonous Fungi of the Smokies and Mosses and Liverworts of the Smokies, but every time they have been offered it’s an all day Saturday class, usually in October, which is peak season here. Maybe when I retire, and no, don’t worry about me using anything for breakfast other than the mushrooms that come from the grocery store!